How does solar electric generation work? 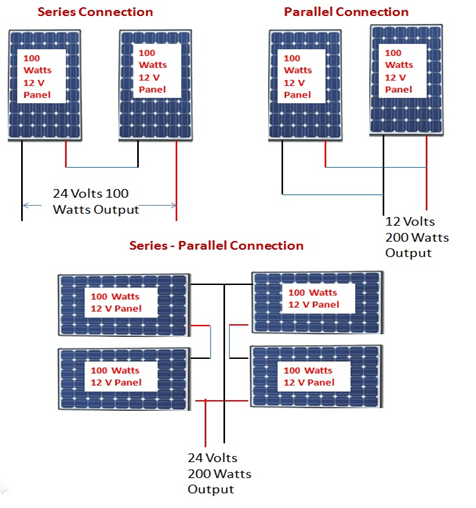 Solar panel takes the sun’s energy and solar Inverter converts it into DC battery power to charge your batteries. Solar panel is the battery charger that works anytime the sun is out. How to calculate your solar system need? If you are just trying to run lights, Ceiling Fans and TV with solar power, it is not too hard to determine the number of panels and batteries yourself. Suppose you need solar power system to run 5 CFL lights, 3 Ceiling Fans and one TV. First, we find out the wattage of each of them. 1 CFL = 25 watts. 1 Ceiling Fan = 70 watts. As neither inverter is 100% effiecient, so you should go with 700 VA Solar Inverter. Need Solar panels? Click here..